Brian Kluth, was in a two day meeting with pastors and leaders from some of America's leading churches. In this meeting he asked the question, "What are the best practices/websites you use to teach people Biblical financial principles, inspire generosity, and increase giving?" In this eBook you'll find the answers, best practices, best websites, and much more! TODAY our $29.95 eBOOK is FREE! This Executive Summary provides research findings from surveys from over 1000 churches. News of this research was covered in the Wall Street Journal, Washington Times, National Public Radio, CBS, NBC, ABC, Fox, and major newspapers across the country and around the world. There are BONUS ITEMS included with this purchase: Free eBook on "50 Best Practices & 80 Best Websites to Increase Giving", GiveWithJoy.org eDevotional, and preview eBook copy of the bestselling 40 Day Generous Life devotional. You will be sent downloadable links to access this eBook Executive Summary and the bonus items. This attractively designed and comprehensive planning organizer will be a great blessing to anyone you give it to. There are over 40 pages of "fill-in-the-blank" forms related to household matters, finances, family history, medical history/wishes, funeral wishes, estate planning helps, and much more! Available in a paper OR digital Microsoft Word version. 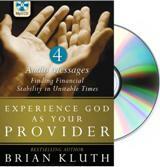 A DVD of Brian teaching this material as a 90 minute seminar is also available for $10 more. Ministries to give to existing, new or prospective donors. Churches to give to members and retirees. Financial professionals, attorneys, and planned giving professionals to give to current or prospective clients (i.e. can be used as a lead generator in Newsletters, Seminars, Exhibits, Emails, Magazines, and Websites). CHOOSE between PRINT VERSION or Microsoft Word download. For shipping info, click here for shipping details. Do you need to add a little financial humor to your seminars, reports, committee meetings, bulletins, newsletters, websites, blogs, sermons, office bulletin board, or print publications? 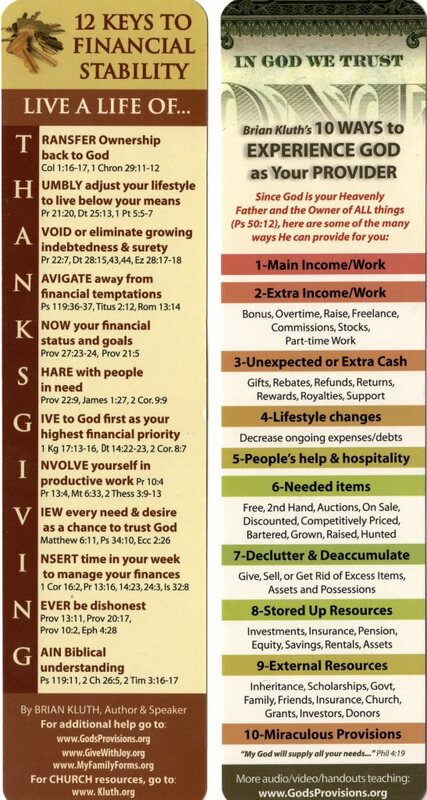 Then check out the 52 color cartoons on generosity, finances, church giving, insurance, banking, and more! Most professional cartoons copyright reprint permissions cost over $100 for a SINGLE cartoon! But you can have all 52 color cartoons (and their 52 B&W versions) for just $29.95 for unlimited non-commercial use. After you submit your order, you will receive 2 emails. The first will be a receipt and the 2nd email will arrive within 30 minutes with a download link to all 52 color and 52 Black & White cartoons for your use.